Hi! I have some concerns about fangirl fashion. I mean, I love my shirts. In fact, I paint my own shirts with designs of the things I love. But today while I was dressing up for work, I was thinking about how is not appropriate to go to work with shirts, and this makes me sad. So I wondered, how do you dress up “right” for work without losing your fangirl style? Just yesterday I saw the MOST PERFECT X-Wing Cardigan for sale on HerUniverse, and I thought to myself, “Could I get away with wearing an X-Wing cardigan to work?” I talked myself out of it for now, but if a Millennium Falcon cardigan comes along, I’m a goner. So I get it. I have an “I met Sebastian at the Pawnee Harvest Festival” T-Shirt, and I’ve only ever gotten positive responses from people. But do I show up to the office wearing it? No. There’s no reason to be ashamed of what you love. Yes, you can pair a tee with a blazer or buy inspired jewelry on Etsy or any number of tricks. But how do you dress like a fangirl that people take seriously? YOU UPGRADE. A fangirl closet should reflect the entire rainbow of her personality. Yes, you’re goofy and passionate, but you’re also BAMFy and intimidating as hell. When I asked people on Twitter who their fictional fashion heroes were, here’s what they said. Leona Lansing – Pearls are for giving zero fucks. 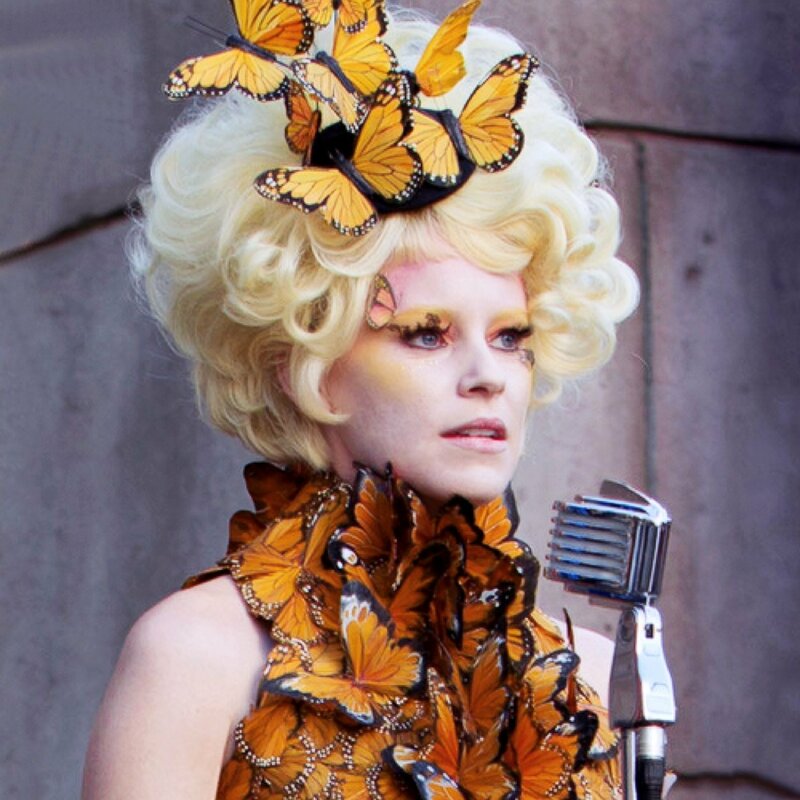 Effie Trinket – Definitely wear this to your next job interview. Sharon Morris – Because some of us are ridiculous. 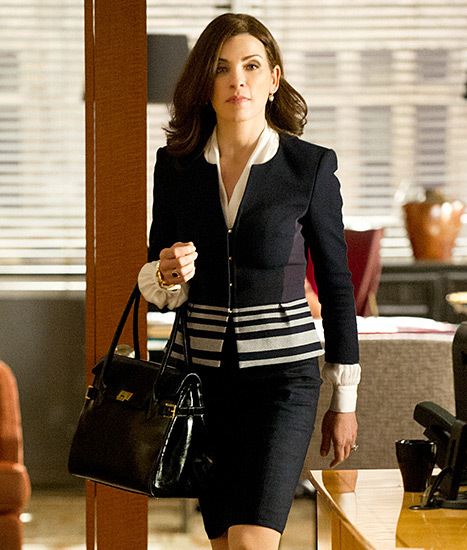 There are so many great websites for TV fashion. Possessionista is one of my favorites, because she IDs fashion and also provides you with cheaper knock-offs or similar styles. Or you can simply type “dress like [insert character]” into Google, and you’ll find tons of articles directing you to examples. It’s amazing how channeling your fave can help you conquer. Don’t stop creating, and don’t stop unicorn trotting. But don’t be afraid to find a woman who can help you breathe a little bit of fire as well. You are currently reading Fangirl Style at Fangirl Therapy.